I had just landed in Kingston, NY, in early July with Niko, the dog of Perpetual Joy, and the four cats, a long chapter of life in rural Virginia completed. I was moving into my new live/work space in the Rondout neighborhood, an 1890 brick building with very good bones and plenty of neglect. After decades of working hard at everything, and the last five marked with grueling losses, I imagined I would rest. My studio could live in boxes while I explored my new habitat and reflected upon life’s full circle bringing me back to New York, two hours from the city where I grew up. I had plenty of settling in to do. The storefront spaces of the ground floor, where my studio would be, needed serious attention. There were holes in the plaster; boarded over and duct- taped windows; gaps everywhere; a toilet that flushed on occasion; pine floors blackened with grime; a ceiling and walls the colors of old mayonnaise. Bats visited inside during the evenings and a thick history of the roosting pigeons adorned the window and door ledges. But in early August when my metalsmith neighbor suggested I join in the Kingston ArtWalk—an open studio event the last weekend of September—I heard myself saying, “Why not?” In my new life, I was infused with a sense of freedom, an exhilarating unburdening, and of living fully dilated. I knew nothing about ArtWalk—its logistics or story—but the words open and studio spoke to me—a way to say “I am here” and “Thank you for everything, and for having me.” And as a portal to re-commencing my studio practice; the several months hiatus had begun to chafe. Thus, the next nine weeks saw the transformation of what would become my studio with a lot of elbow grease and a lean budget. One of the reasons I moved was to be part of the creative energy that I sensed fomenting here. Kingston had gotten on my radar in 2003, when Judy Pfaff, MacArthur fellow and local resident, curated the Kingston Sculpture Biennial. I participated in the 2005 edition of that exhibition, and it was a paradoxical experience: my large outdoor installation in Hasbrouck Park was severely vandalized while a second piece at a gallery venue in uptown sold for a handsome sum to a visiting California art collector. The grit, the history, the hard times, the buildings, the river, and the possibilities of the place spoke to me then as they do now. I was eager to participate in the community of creatives that was diverse, generous, and serious in the endeavor to grow culture as sustainable prosperity in the largest sense of that word. Here, I felt it was possible to make art and thrive no matter how close to the bone we lived. 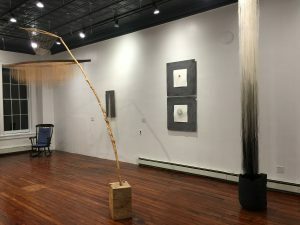 Art Walk Kingston was launched as a community grass-roots effort led by Linda Marston-Reid, executive director of Arts Mid-Hudson, and local resident and photographer Joe Gonzalez. 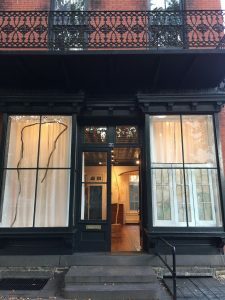 Noting that there was no open-studio event in Kingston despite the large population of artists, they sent out a survey to artists, residents, and business owners in early 2016 to determine interest. The enthusiastic response included promises to participate and offers to volunteer. 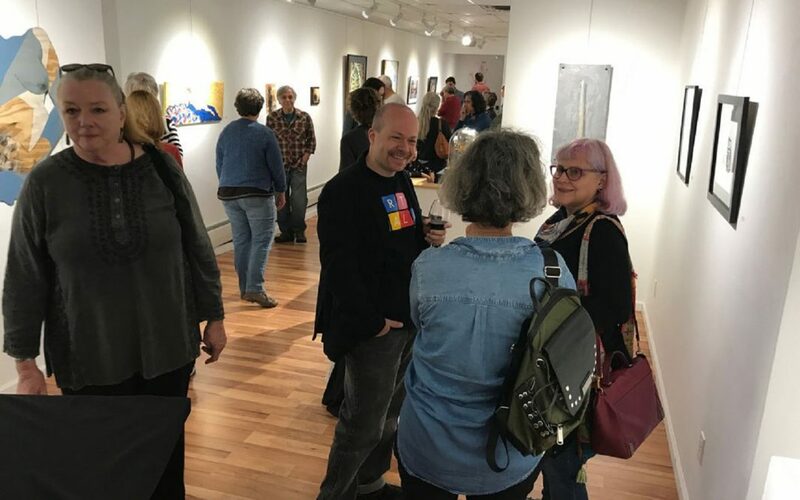 The Art Walk was planned during a series of monthly meetings that have now become a regular networking event, bringing together Kingston residents, business owners, and the arts community. The second annual Art Walk Kingston is now the largest open studio event in the Hudson River Valley. 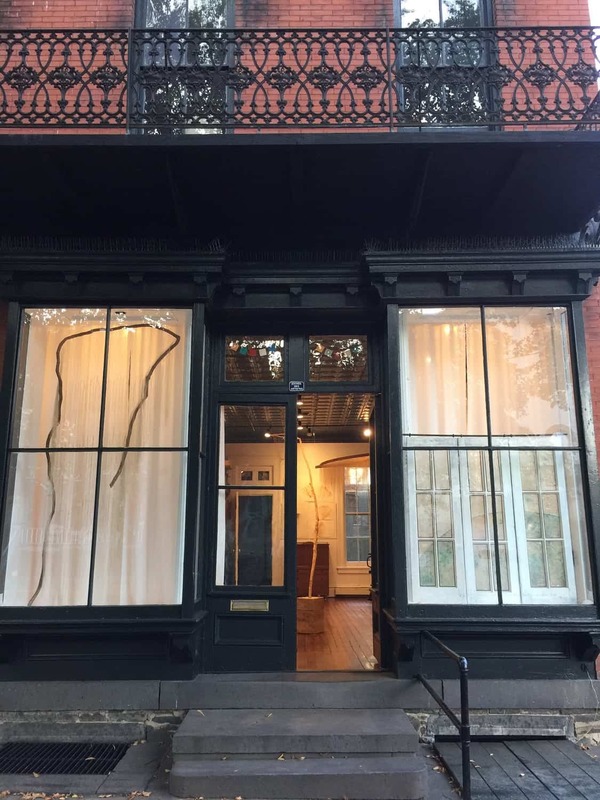 Over the two afternoons, a steady flow of visitors arrived—neighbors,curators, aficionados, makers, writers, advocates, and appreciators of all stripes. The pre-event press had been kind to my work and a number of visitors had taken notice of that. Most faces were completely new to me. A number of the core, long-time artists and advocates of Kingston turned out as well as more recent arrivals to the community. Their welcomes were heartfelt and moving. And many visitors arrived from locations farther afield: New York City, the Berkshires, New Jersey, and the greater Hudson Valley. At any given time, the group in the studio was not more than ten, so real conversations occurred while the opportunity to linger quietly with the work remained. I was very pleased with the genuine response to my work, the second visits, and the follow-ups through email and social media. Perhaps the most gratifying, though, were the conversations with life-long residents, including the local alderman and his wife, who remembered my building when it was a store. We listened to each other’s stories and shared our fears about gentrification. I felt their sense of relief that this building went to an artist. As we talked about change, I felt a great gladness to be able to say, “This is what artists bring to community”. 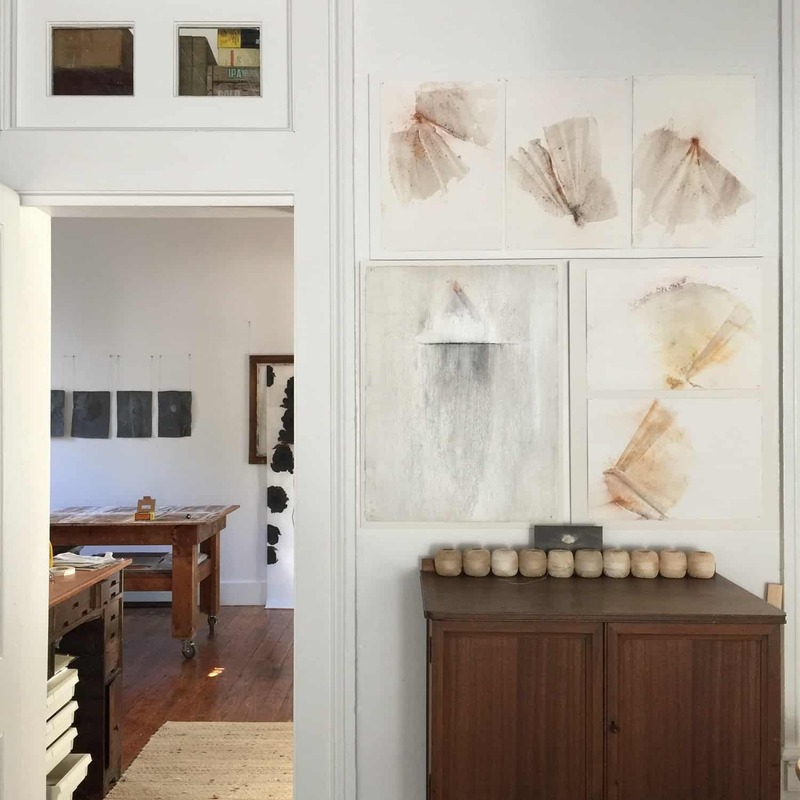 To open one’s live/work space is intimate in a way that a solo exhibition is not. I had two rooms open though a passage area, and the newly functioning WC offered additional niches of insight. The first room was exhibition oriented; this was where I installed work of the past 12 years. 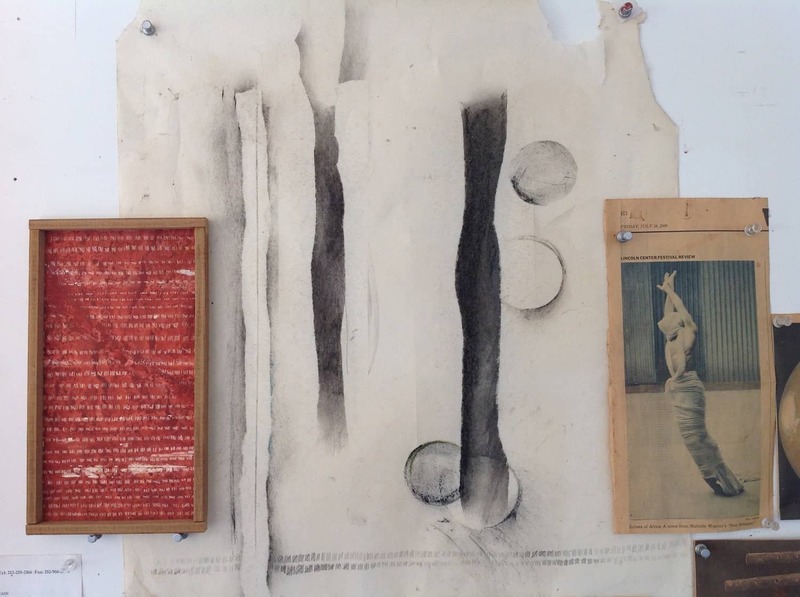 The next room was practice oriented: yellowed newsprint and fragments of things culled from decades of earlier studio walls offer, perhaps, a more finely ground lens through which to view my work as an artist than any words I could pull together in the moment. Even my tools and the naked, resting materials illuminate the mind and hand of this maker in ways that websites do not. 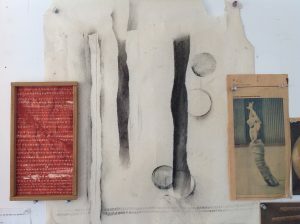 Several visitors observed the spareness of my space, a quality familiar to me from every past studio at that moment before the making begins again, before the accumulation, in the space between what is now and what will be. Those who witnessed it also consecrated it. For this and much more, I am exceedingly grateful. Millicent Young is Vasari21’s house essayist and roving correspondent. Love this essay, Millicent! I too found Kingston to be stimulating while I visited to hang my show at Green Kill. Think it must be a great place to live and work. Would love to meet you sometime. Hey Karen, Thank you! I am sorry I didn’t get to your opening – I was in such a combined swirl of recovering and commitments. Lets keep in touch.